Prepare to be impressed! 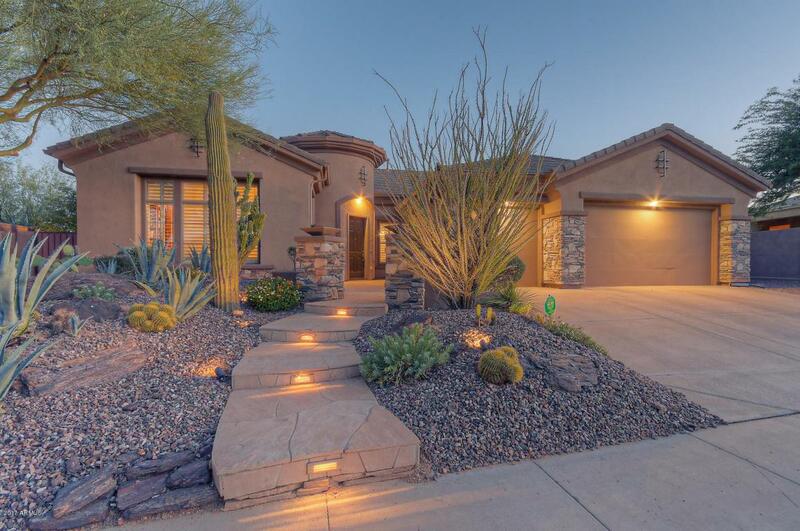 This stunning Country Club home is situated on an elevated premium lot with infinite desert views. Tastefully upgraded in every imaginable way. Custom built wall units with stone accents. Italian ceramic tile recently installed throughout with tile medallion entryway. 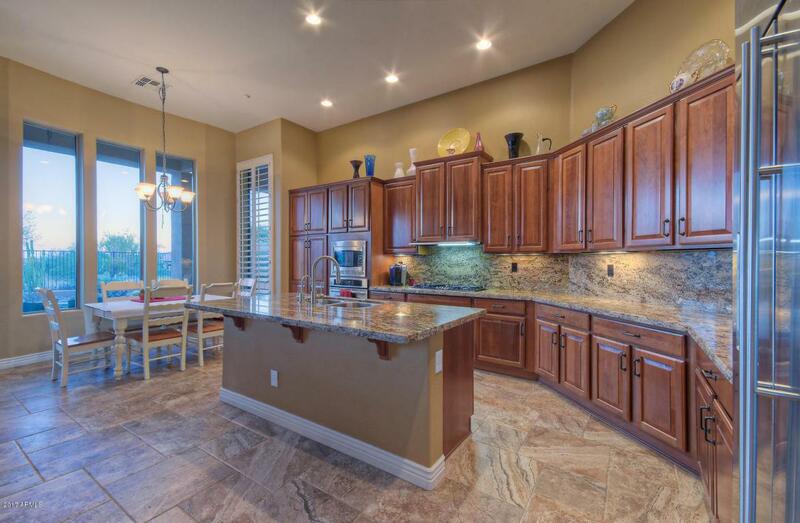 Beautiful kitchen featuring top of the line granite, appliances and cherry cabinetry. Amazing master bath with red onyx vessel sinks, granite counter tops and exquisitely finished tub and shower. 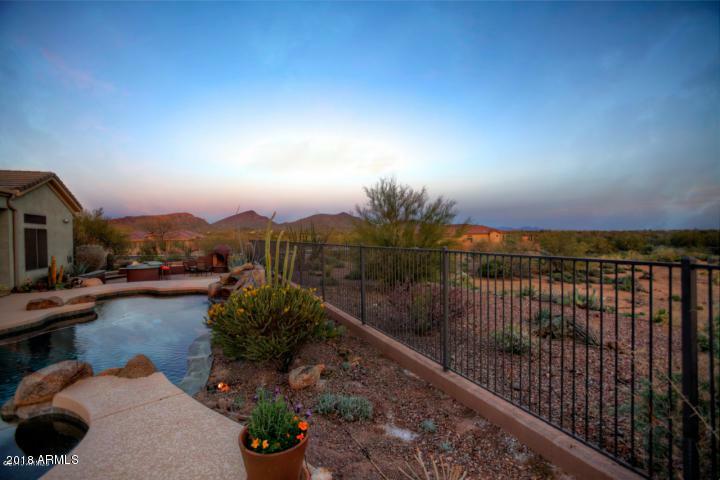 The backyard is a true desert oasis with oversized heated pebble tec pool and spa, waterfall, stone decking, sunken outdoor kitchen and beehive fireplace. 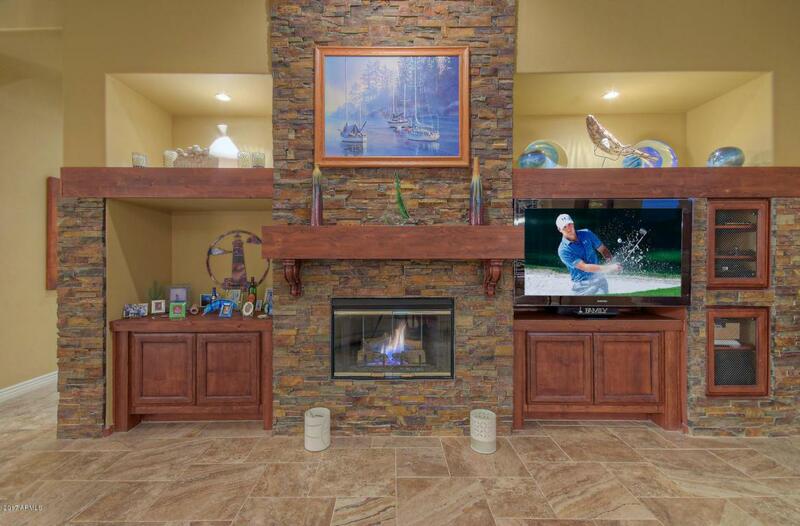 World class amenities of Anthem Country Club featuring two private clubhouses and 18 hole golf courses. Disregard days on market - had tenants till March.